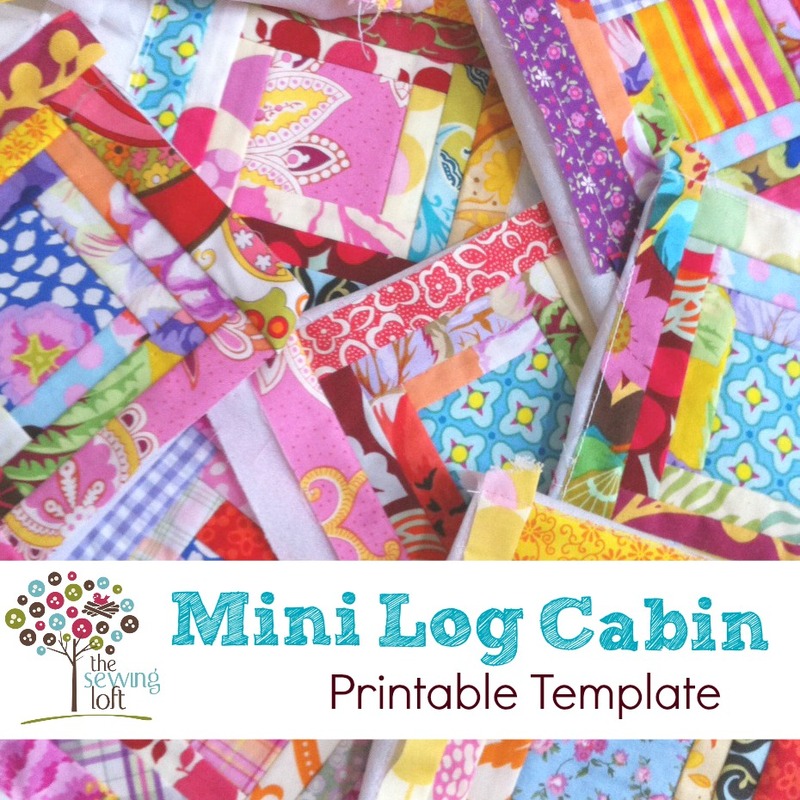 Sometimes we just need to clear out our scraps and make something fun and this mini log cabin pattern is perfect. These mini log cabins are easy to make and since they are made from scrap fabrics, I consider them free! Print out the template and transfer the design onto a piece of stabilizer or interfacing. Be sure to mark the numbers on the template. Place a 2.5″ square of fabric right side up on the center of template. Carefully turn the template over and stitch in place. Rough cut a piece of scrap fabric to cover log #1 on template with 1/4″ all around over hang by 1″ wide. Lay fabric scrap over center square with right sides together. Be sure that the fabric scrap overhangs the section on each side. Carefully turn over template and stitch along line. Trim away excess fabric to allow for 1/4″ seam allowance; flip up and press. Work in a clockwise manner while mixing colors and prints until you are all around your template. Press, Press, Press. Don’t forget to press as you go! The mini log cabin block finishes at 4″ and if you are not sure what to make with them, let me give you a few ideas. Even though I think the mini log cabin quilt pattern looks best when grouped together, it will also make a stunning pocket detail or handbag, Be sure to think of this template as a way to use your scraps and create a focal point within any stitching project. 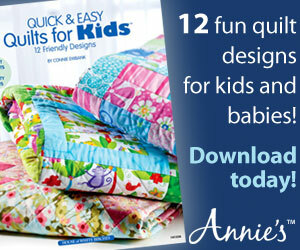 I challenge you to think beyond the quilt when using this template. 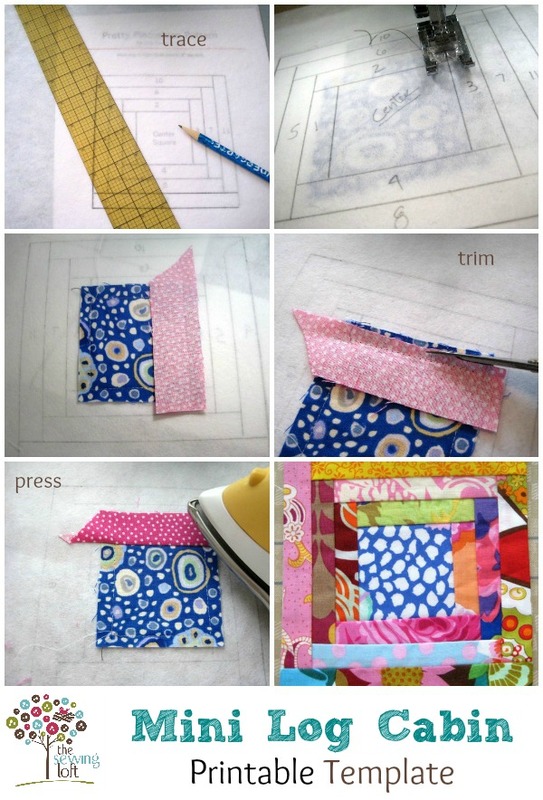 This mini log cabin quilt pattern is so simple and can be made any size you like. Personally, I just LOVE the way they look small. Keep in mind, while this template is easy to use, the quilt block takes time to sew due to it’s size and small bits of fabric. Press fabric scraps in advance. Paper can be used instead of interfacing as the foundation. See tips for sewing with paper. A rotary cutter, self healing mat and quilt ruler will make quick work of this template. Consider a dab of washable glue to keep the first piece in place. Looking for more scrap busters? 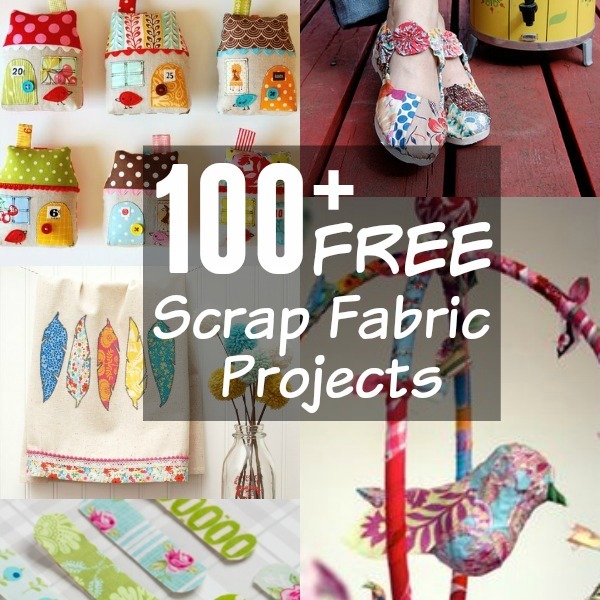 Check out this massive round up of Scrap Fabric Projects and be sure to follow along with my Sewing: Scrap Inspiration Pinterest board. 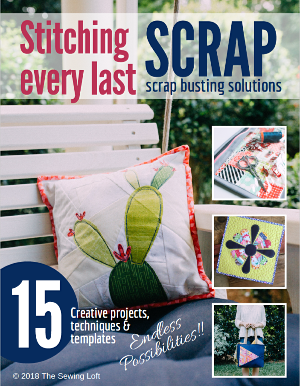 You will find dozens of amazing ways to use up your scrap fabric. I am so excited to be doing these mini log cabins to help reduce some of the fabric scraps I have building up. I am not sure what the outcome of these will be but the fun is in the making and not so much what they will become later. Thank you for providing a free template and instructions for everyone to use. It is much appreciated. You’re the BEST!!!! !